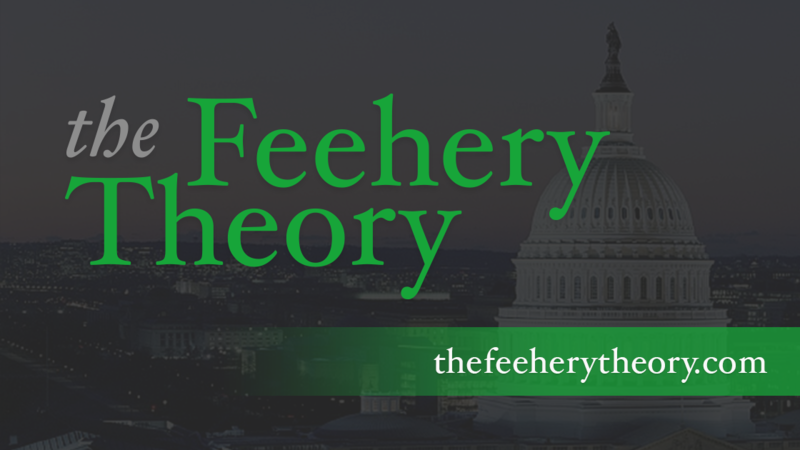 Today, the Feehery Theory will take a break to remember those who lost their lives seven years ago. Here is an essay about how my day went of September 11th. It was clear, crisp September morning, the kind of day that makes Washington a glorious place to live in the Fall. I woke up later than I wanted to, knowing that I had to take care of two things: The Speaker’s Daily news summary and my NFL football pool sheet. Hastert, upon coming Speaker, immediately decided that the Dinosaur was not the best image for the Republican Party, and now the room overlooking the National Mall was filled with Civil War photos. Pretty appropriate that we gathered there to hear the Sergeant of Arms tell us of the attack on New York and the threats to the Capitol, one of the worst crises to befall Washington since the Civil War. Two of my assistants were already out the door. Jennie Page and Amy Alhoff, the speechwriter had already left. Peter Jefferies and Paige Ralston were on their way. My head-ache was getting worse. Ba-doomp. Ba-doomp. Ba-doomp. The pounding wouldn’t stop. I should have stopped at Starbucks this morning. No coffee. Need coffee. The head-ache persisted. Ba-doomp. Ba-doomp. Ba-doomp. We had broken up six months before, after dating for seven months. I wanted her to know that I was fine, and I wanted her to be fine. I wanted to be with her. I couldn’t get her on the phone, but we emailed each other via blackberry. She was in Virginia and was going to her friends Jen Englhardt and Allison Feldman house. She left a number to call there. Members of the Speaker’s security detail led me to a black Ford Expedition. I joined Sam Lancaster, the Speaker’s scheduler, and Porter Goss in the back of the SUV, and we sped off to the secret location. We were joined by two other care in a convoy. It creeped me out. I was exhausted. I wanted to sleep. I wanted this nightmare to end, so I could get back to live before September 11. CIA analysts came into the room to give us their assessment. The fingered Islamic terrorists, probably linked to Osama Bin Laden. While most had heard of Bin Laden, none thought he could pull something like this off. How could this happen do us in America? Who could do this to us? I decided to go home. The roads were clear. I made my way back to Virginia, and I got ready to exit onto the GW Parkway, I saw the bright flames still burning in the Pentagon. What a horrible sight. What a horrible day.